Do you know Hungry Girl? Do you do Vitas? I’m hungry, yes…but not me. THE Hungry Girl. If you aren’t signed up to receive daily email newsletters from HG, you ought to. 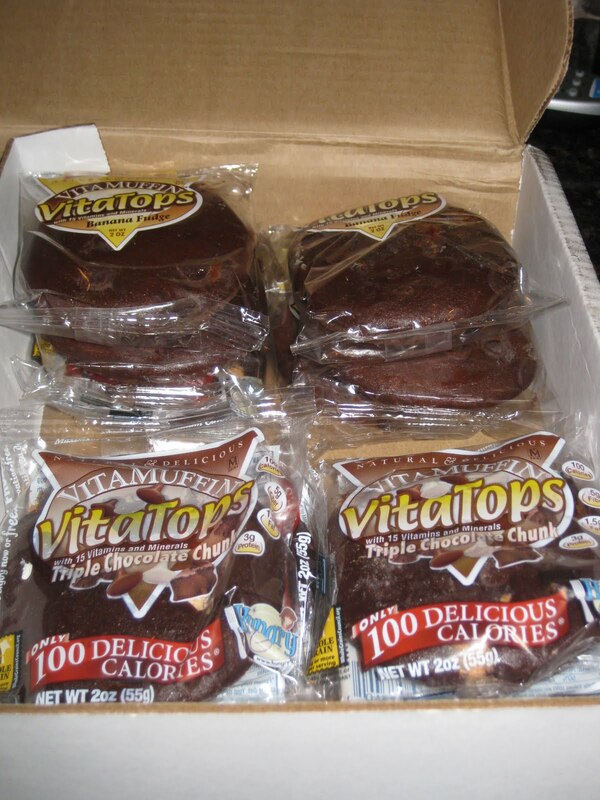 Back in the day when I went from “unhealthy” to “more healthy” (to put it nicely), I guiltless-ly indulged in VitaMuffins and VitaTops. 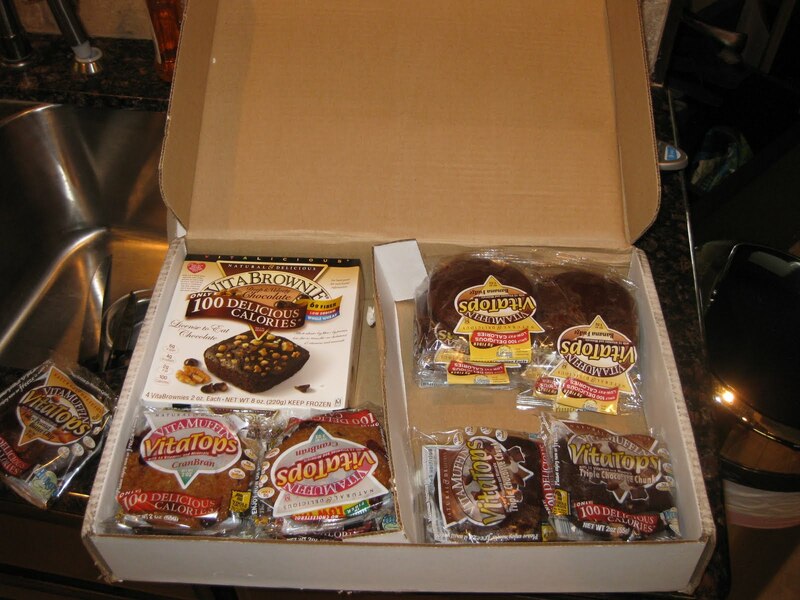 They have thus slipped my mind and out of my pantry’s arsenal of healthy options…until now, thanks to Hungry Girl who advertises them regularly on her site. While I fully agree that I’ve gone slighly carb-crazy this week between No Pudge Fudge and now VitaMuffins and Tops…I all but apologize. Who doesn’t need more guilt-free chocolate products in their lives?! That’s what I thought. Go carb crazy here — and don’t feel an ounce of guilt over it! 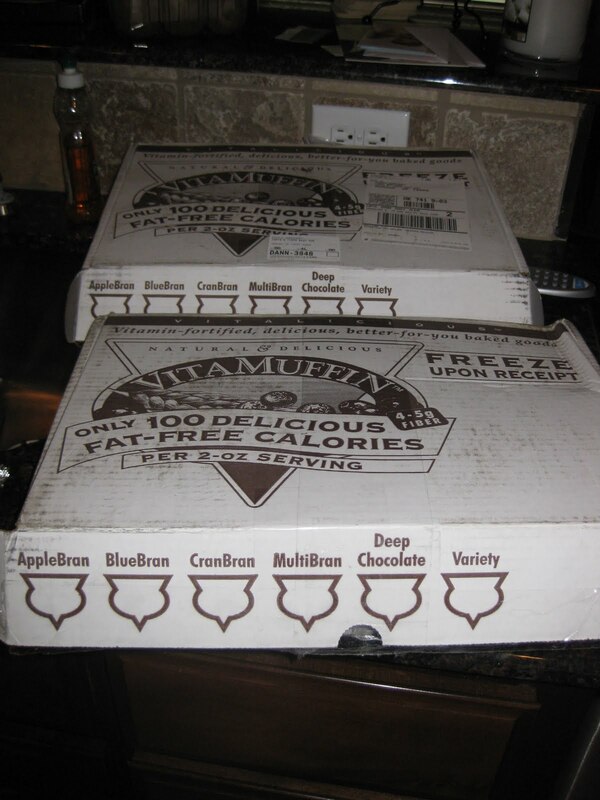 VitaMuffins and VitaTops offer lots of great varieties and flavors, and you can’t go wrong. I haven’t had anything I wouldn’t walk a mile for! Plus, for 100 calories, lots of fiber, and minimal fat…rest assured, you’re choosing a great treat! And I couldn’t stop at just ONE box of products…so I got 2! They were on sale buy 1 get 1 free! And also from Hungry Girl, here’s a recipe I think I must try off her Tuesday emailing. Line a baking sheet with aluminum foil and/or spray with nonstick spray. Place chicken in a bowl, cover with egg substitute, and toss to coat. Set aside. In a separate bowl, combine flour, salt, and black pepper. Mix well. 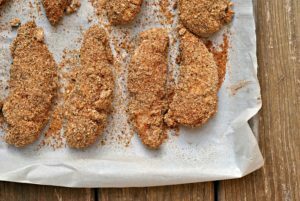 One at a time, transfer chicken nuggets to the flour bowl, giving them a shake first to remove excess egg substitute – coat completely with flour, and then transfer to baking sheet. Bake in the over for about 16 minutes, flipping halfway through, until chicken is fully cooked. Remove from the over and set aside. Combine chili sauce, vinegar, and red pepper flakes in a bowl and mix well. Add chicken and toss to coat. Gobble up! 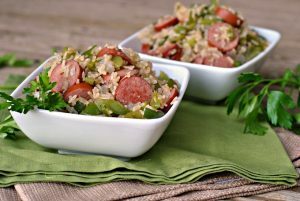 For other great tips, food finds, and recipes visit Hungry Girl at hungry-girl.com! I've heard great things about the Vita tops, but have yet to try them. They sound, and look so tasty. I now love my H.G. emails. My friend Sara made the wings this week… I'll find out how they were!